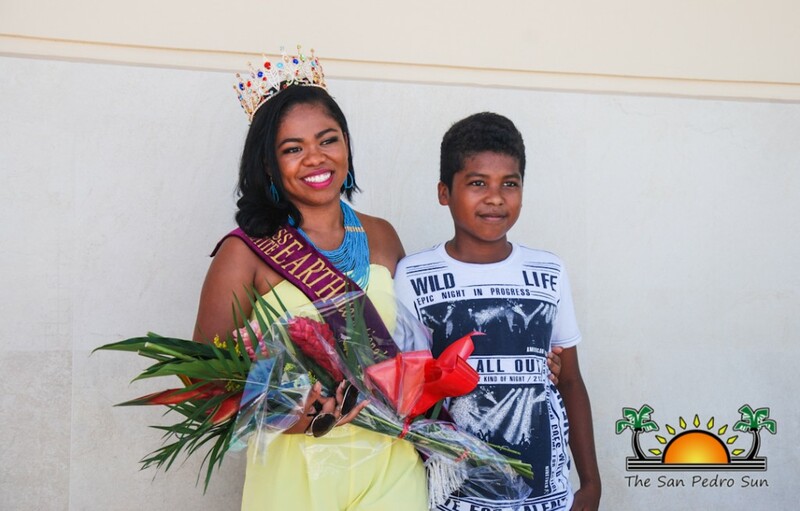 18-year-old Vivian Noralez made international pageant history as the first Belizean to compete in the Miss Teen Earth International pageant. 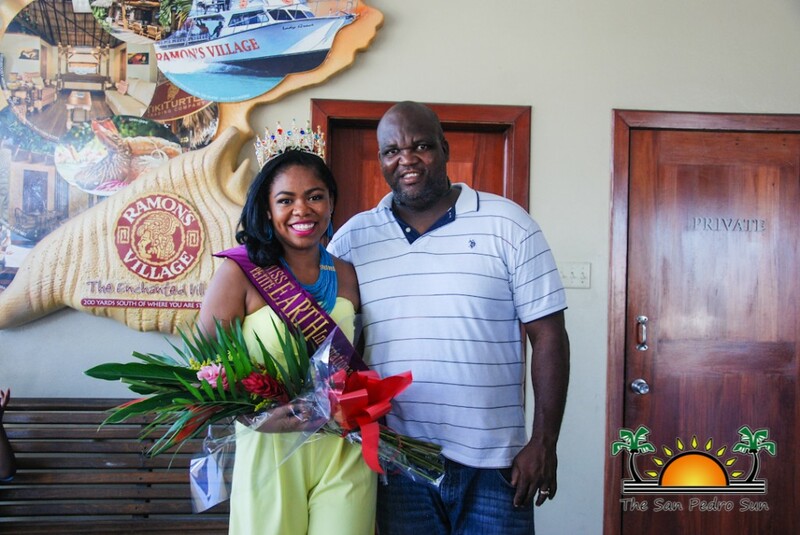 She added to her achievements by walking away with the prestigious title of ‘Miss Petite Teen Earth International 2016’. After being in Panama City, Panama for five days, she arrived on La Isla Bonita in grand style on Monday, October 3rd, where a crowd of family, friends, and supporters gathered at Tropic Air to welcome her back. 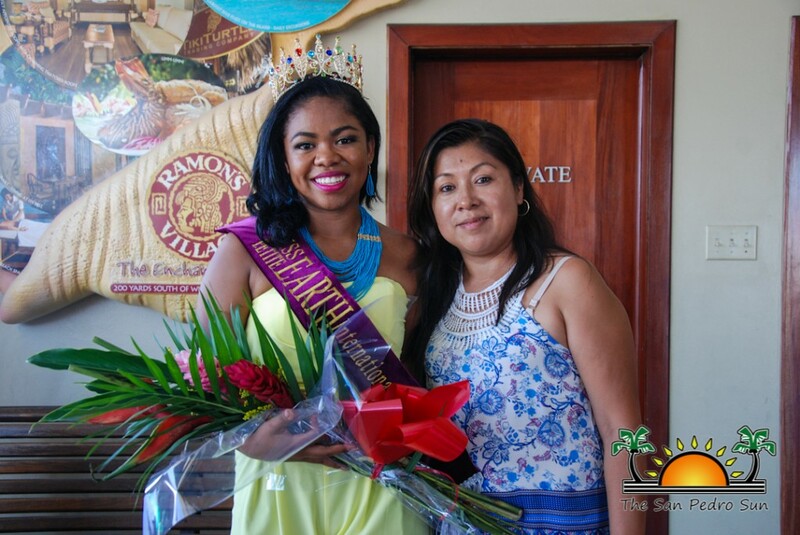 Miss San Pedro 2016-2017 Marisha Thompson, and Miss San Pedro Lions 2016-2017 Solani Graniel embraced Noralez and joined her on a gaily decorated golf cart to parade throughout the town’s core. Miss Teen Earth International was held at the Continental Hotel & Casino in Panama City, and the pageant focuses on promoting ecotourism, as well as environmentally beneficial activities. Ecuador, Guatemala, Mexico, Belize, Peru, Venezuela, Paraguay, the United States, Galapagos Island, and Panama were among the top 10 finalists. The competition saw swimsuit, national costume and evening gown segments, followed by an interview with the judges, which included on-stage questions. In the end, two winners won the entire competition, and four crowns were given to the four runner ups. After the evening gown segment, Noralez took the title of Miss Petite Teen Earth, and was crowned by outgoing Miss Petite Earth 2015, Guatemala’s Emely San José. Sarah Lewandoski from the United States took the title of Miss Teen Earth International 2016. Alisson Roberts from Mexico was chosen as Miss Teen Air, Sayra León from Ecaudor won Miss Teen Water, Patricia Barreto of Paraguay won Miss Teen Fire, and Hillary Watson of Panama won Miss Teen Tourism. Noralez’ grand prize was a custom-made gold crown encrusted with Swarovski crystals and beautiful gemstones, valued at $10,000 BZD. Her other prizes include a return trip to compete next year in Panama City, and all-expenses paid hotel, accommodations, food and transportation for two. Since she left Panama early, she is still pending prizes. Through hard work, dedication, and preparation, Noralez credits her successful interview to winning the title. Showing complete confidence, she chose to focus on water contamination after the Hurricane Earl. She stated that water contamination in San Pedro is a relevant issue that needs to be addressed. “When I see the world, it is rapidly ripping apart. When I look at San Pedro, it’s sad to know that we only promote the developed areas, and tend to forget about the rural areas. When I found out that water in San Mateo was tested positive for E Coli and contained bacteria, I found it shocking to know that [my] people are living in an unsanitary state. It is not impossible to find help, and if I have to find help for my fellow San Mateo community members, I will,” said Noralez. Noralez shared her memories of the pageant, and described it as an once-in-a-lifetime experience. “On Thursday, September 29th, the contestants, mentally disabled children and I, along with the Mayor of Panama, planted 25 trees. I went over to help a special needs little girl, and she stopped me from digging the hole to plant a tree. She insisted that princesses weren’t supposed to be dirty, and that planting isn’t cut out for beauty queens. When I spoke with her, I told her that beauty queens are no different from anyone, and I continued to help her. She was amazed, and it made me appreciate life more,” said Noralez. Her father, Alex Noralez is over-whelmed with pride. “I am very happy for her because all of her hard work paid off. At the end of the day, it was all Vivian, and all I did was to be there and support her in whatever I could. Sometimes I try to discourage her in participating in pageants, but this is what she likes, and whatever makes her happy, makes me happy also. She finally got what she has been working for, and I am amazed that people are showing her so much love. I am overwhelmed,” he said. During her reign, she hopes to create her own non-governmental organization to raise environmental awareness throughout the country. Through the help of Sandy Point Real Estate, she is currently planning to reach out to the Blackadore Caye Group. She hopes to propose a plan for them to assist rebuilding San Mateo, and providing more resources. This is definitely not the end of pageantry for Noralez, as she plans to compete in Miss World, Miss Earth, and Miss Universe in the future. Noralez gives special thanks to her parents for financially sponsoring her, Eduardo Aguilar for sponsoring her wardrobe, Photographer Karen Brodie for her photoshoots, and she thanks her supporters for their encouragement. Congratulations to Noralez for representing Belize well!